Sign into Goodreads to see if any of your friends have read Exiles. And Bertha’s heart is in the middle of this whirlpool, armed only with its chastity which gets regularly attacked by heated waves of mercurial independence. . Seems to be a case of 'to be or not to be' and perhaps it illustrates the perennial vacillation encountered in monotonous matrimony. Another delectable review coated with lingering lyricism. You are poet at heart dear Seema. Thoroughly relished this one. Such a lovely poetess amidst us. Glad to be in the company of your beautiful words, Seemita. Wonderfully phrased review and like Dolors said, keep 'em coming. Awesome!I loved the metaphor of the heart cut in two, compartmentalized, wrongly labelled, only to solder back into a whole with the glue of future - a headstrong kid. Dil to bacha hai ji! Beautiful questions posed: "But does the societal pedestal, that has elevated them to their envious, distinguished positions, also bind them to its rigorous chains, rooted in tradition and inelasticity?" PGR wrote: "And Bertha’s heart is in the middle of this whirlpool, armed only with its chastity which gets regularly attacked by heated waves of mercurial independence. . Seems to be a case of 'to be or not to..."
This indeed was the Shakespearian dilemma! And more than the monotonous aches of matrimony, it was an insistence of a temperamental heart which never found solace in its current state. Joyce can be such a magnificent puzzle! Dolors wrote: "You seem to be following the trail of Joyce's works recently and I am doubtful whether I prefer your cohesive, flowing company or Joyce's fragmented genius; I think I am going to spend more time wi..."
You made my day, dear Dolors! 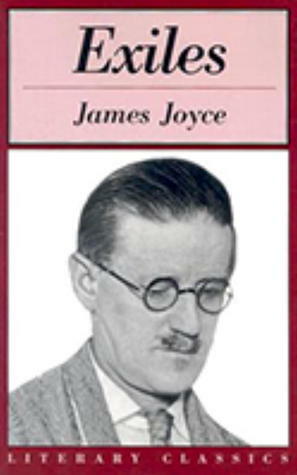 I guess you and me should be a formidable team to take on the intricate world of Joyce, won't you say? :) I attempted to present the superfluous fluctuations of his scholarly mind in a language I know best. I am glad you found the review an able yardstick to tackle the master's work. Garima wrote: "Such a lovely poetess amidst us. Glad to be in the company of your beautiful words, Seemita. Wonderfully phrased review and like Dolors said, keep 'em coming." There are fewer things more gratifying than receiving kernels of appreciation from a friend who is a maverick with words herself! I am yet to recover from your beautiful review of "Stoner". In the greed of further flowers of praise, I assure you the reviews will keep coming! Jibran wrote: "Awesome!I loved the metaphor of the heart cut in two, compartmentalized, wrongly labelled, only to solder back into a whole with the glue of future - a headstrong kid. Dil to bacha hai ji! Ah, Joyce keeps getting second chances at the hands of his readers, isn't it? I guess the limited access I had to the mind and heart game of Joyce, despite the generous peeping in this play, tied my hands at a rating of 3. Even this play, for that matter, can be far more revealing to a keener observer than I. Beautiful questions posed: "But does the societal pedestal, that has elevated them to their envious, distinguished..."